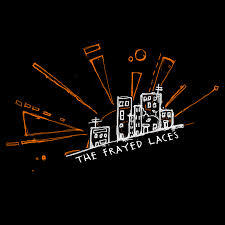 London based The Frayed Laces have recently released a new single ‘Twigs’. With powerful vocals over a rock style with influence of garage and punk thrown in for good measure, this infectious sounding single is a great introduction to their debut EP ‘Imperfect’, which is set to be released on 29th August. Their 5 track EP ‘Imperfect’ has plenty of twists in styles, from the haunting second track ‘Summit’, which is a captivating power ballad that rises in both power and intensity, whilst title track has a sleek rhythm that unleashes itself behind the excellent vocals of Emma Harley, who has a soulful tone at times, but with an edge to her voice that makes for a delightful combination. With plenty of killer hooks on ‘Monsters’, and one of those choruses that immediately grabs the attention, the debut EP makes a bold statement and is certain to generate a lot of interest in the band. Rounding off the EP, ‘As You Find Me’ once again has a more delicate tone, here the song writing comes to the fore, as well as the musicianship of the band as a whole, as the harmonies swirl beautifully through the song, and once again brings an originality to the how the band sound.